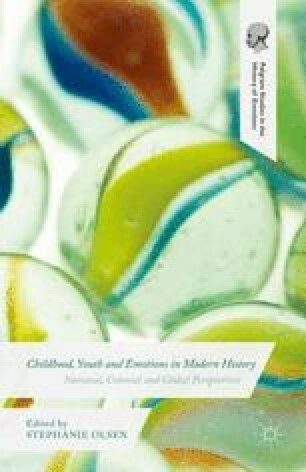 This chapter was initially presented as an exploratory paper for a panel on childhood and religion at the ‘Childhood, Youth and Emotions in History’ Conference, November–December 2012, hosted by the Centre for the History of Emotions at the Max Planck Institute for Human Development, Berlin, Germany. I gratefully thank the conference organizers for the opportunity to air some of these ideas and to then re-craft the paper for this chapter. In turn, I am also grateful to the editor and various readers who have constructively helped to refine the chapter even further.